It’s a simple concept: honoring those that have fallen, both at home and abroad. It dates back to the dark days after the Civil War, when it was known as Decoration Day. 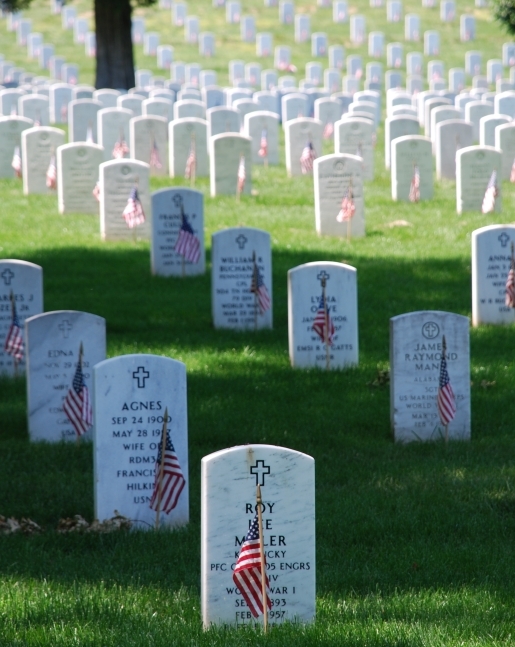 Created by freed slaves to honor the Union soldiers that fought and died for their freedom, the holiday we now call Memorial Day was extended to cover all veterans of all wars after World War I and is now a federal holiday. In addition to that, it’s also the official kick-off of summer and vacation season, but judging from the amount of grilling out that’s planned for today, you guys already know that. In 1865, in Charleston, South Carolina, a group of freed blacks went to Washington Race Course, now known as Hampton Park, where the Confederacy had a POW camp for Union prisoners. Among the amenities at the POW camp was a mass grave. The freed slaves dug up the mass grave and reinterred the bodies of the fallen Union soldiers in individual graves. They built a fence around the graveyard with an entry way and declared it the first Union cemetery. On May 1, 1865, thousands of freedmen and their families returned to the site for food and celebrations, and a tradition slowly grew from there.